Use one everything from blemishes to quick touch ups. 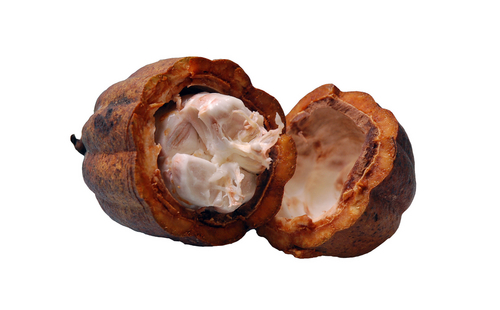 Has a wonderful natural chocolate aroma that is know with Pure Organic Cocoa Butter. Moisturize and protect your skin. Use to prevent and aid in the soothing of stretchmarks during and after pregnancy. Used on dry cracked feet and hands or whenever skin needs extra moisture. 1 Pound Each- Cocoa Butter/Shea Butter/Black Soap Combo. Use as needed to moisturize, clean and protect your skin naturally without any chemicals or additives. Products are very clean and natural, very fresh and pure. Very very satisfied and we highly recommend Mudfarm Organix to everyone. Love these items. Very high quality. Very happy. Will be buying again. Also very fast shipping. If you have acne, just try this soap. If it doesn't do anything for your breakouts, you can use it up on your body. I've been using it for almost two years and in conjunction with an alcohol-free toner my skin went from very breakout prone to only somewhat breakout prone. I can usually get a bar for around5 dollars and sometimes I can find it on flea market sale.First time trying Mudfarm Black Soap with shea butter and i am enjoying the product and they may have a customer for life the soap is so fine.. I find that this product can make my skin feel kind of tight (squeaky clean) so I always moisturize after cleansing my face with it. Click the button below to add the Cocoa/Shea/Black Soap Combo - 1 Lbs Each to your wish list.